I was always a data cruncher meaning that I was always on a look out of songs, videos, books etc from friends, internet etc. Earlier I used to carry the hard-disk of my desktop at that time it was something of the size of 40-80 gb capacity. As time progressed, I bought this Transcend 640gb hard disk on 22 July 2010 but that didn't worked well and lost all my data by June 2011. 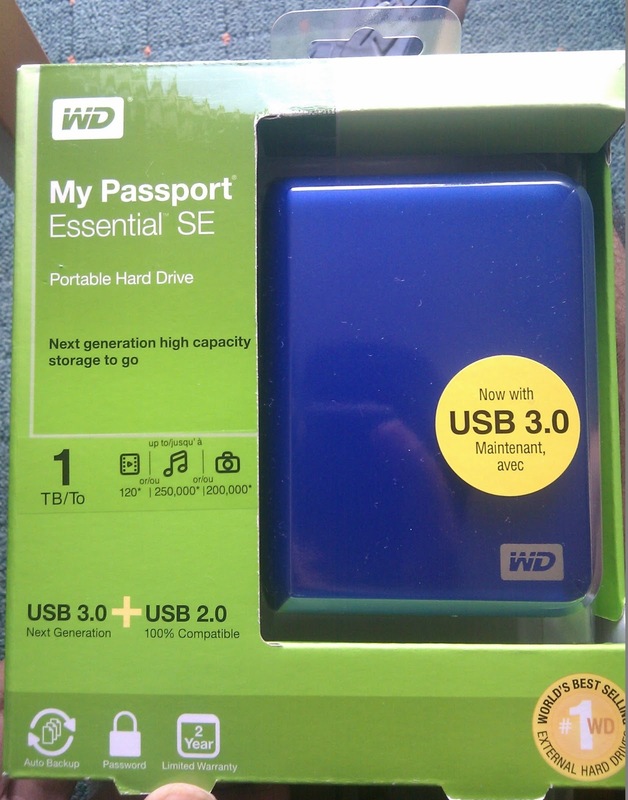 At that time I had to invest in another hard disk as I got the transcend one from Delhi and I was in London at that point. I still have that hard disk as I couldn't complaint to Transcend for the same, but at the time of writing I think this month I will file a complaint. Coming back to the buying decision, I had listened about Western Digital but never thought that their hdd will be so small and great in looks. I went on to see the same at the nearest PC Curry showroom and saw the one kept there. I compared the prices with their online store and found out that there is a scheme going on where we can get the same 1TB hdd at cheaper rates of around £65 only using some codes etc. I ordered the same in Sep 2011 and got the same within 2-3 days time. This is the amazing piece of technology which has kept my data safe till now and I am really happy with my purchase. To add to my love, I ordered the same model for 3 of my friends and they were equally happy with the purchase. I hope that as now the 2 years limited warranty will end but my data will remain safe inside the walls of the hard disk. Hei Ashish thanks for informing about this portable Hard Disk.. Thanks a lot for your comment. Cheers!! !